As most of the OnePlus one user know that the phone is out of official OnePlus support, that mean you can the latest official update on your phone, and this means no more Android 7.1.2 Nougat on Oneplus One. And most of the OnePlus one users are disappointed with this decision and want to upgrade their OnePlus One with Android 7.1.2 Nougat update. 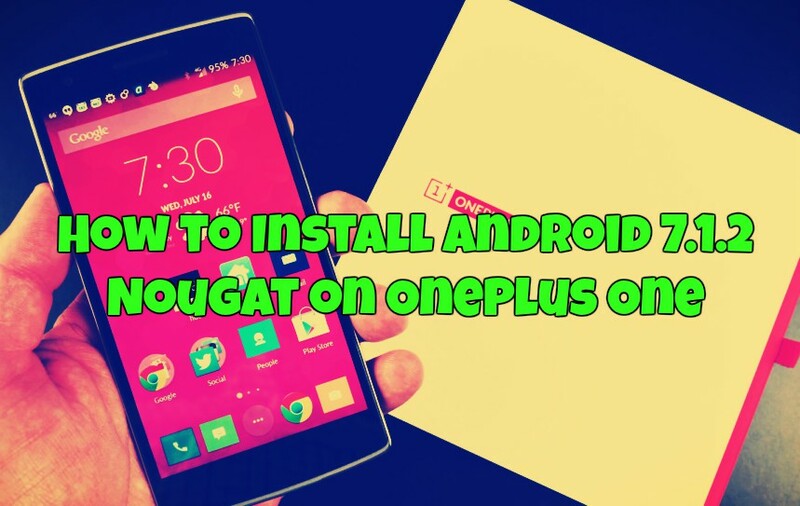 Don’t worry here in this guide we will show you How to Install Android 7.1.2 Nougat on OnePlus One. The only way to update OnePlus One is to install a custom ROM based on Nougat. And one of the best Custom ROM based on the Android 7.1.2 Nougat for Oneplus one is Resurrection Remix. The RR ROMS are based on Lineage OS sources and come with lots of features and improvements. The best thing of the Resurrection Remix is that they are Battery friendly and one of the most customizable OS. c) SuperSu zip file to Root the Oneplus one. 1. Download the Resurrection Remix ROM, SuperSu zip file and Gapps for OnePlus One from above. And save all the three files on your OnePlus One Phone internal memory. 2. Now boot your phone into TWRP recovery mode. To do this turn off your device completely. Press and hold the power button and volume down key for a few seconds. 3. Now from TWRP mode. Tap on Wipe > Advanced Wipe and select partitions like system, data, cache, Dalvik cache. Do not select internal storage. Swipe to Confirm Wipe. 4. Now come back to the main screen of TWRP. Tap on install and locate the Resurrection Remix ROM and flash the same on your phone. 5. After that Flash the Gapps zip file and SuperSu zip file on your phone. 6. Once completed, you can wipe the Dalvik cache or just choose reboot to system option. Now your phone will reboot and run the latest Android 7.1.2 Nougat update.